Civitalis pattern buildings can be found all over the galaxy where there's been a human presence. One of the most standardised designs available to mankind the origins of the pattern are lost to time, some say that humanity has always had the knowledge to build these buildings while others state, quite clearly that there's no evidence of these buildings existing before the 2nd millennium. Even war torn futures need somewhere to buy commodities, like combat knifes, relic toasters, or holy maintenance oils for your bed springs. While that may not be much of an issue to those piloting war machines that tower over buildings, its nice to know that even if your planet is getting invaded, virus bombed or its just another Thursday afternoon there's always a bottle of non-person powered dairy substitute waiting for you. 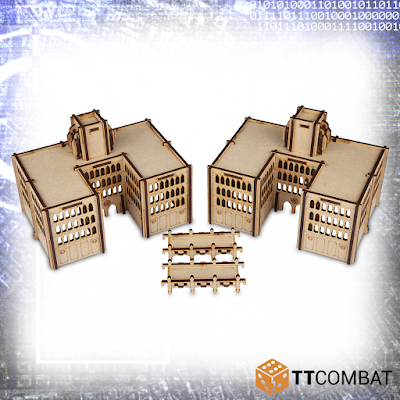 With a set of billboards and rooftop walkways the Commercia Civitalis provides great areas for your more modest war machines to take cover from the bigger, angrier war machines that want to stomp them into the dirt. Easy to assemble, even without glue, you'll be able to get a table built in no time! Made from 3mm MDF this kit is perfect for games of Adeptus Titanicus, but will work perfectly with any similar scale games. Every city needs to have good medical services, especially in war torn futures, where walking to work can result in sudden evisceration by any number of alien species. The medicae civitalis is where miracles happen, stitching people back together, patching up wounds and kissing boo-boos, you're sure to get better in no time. If you're unfortunate enough to be beyond medical assistance, you can be safe in the knowledge that your body will be rendered down into its base components for easy rooftop storage and later reuse or redistribution via rooftop walkways. Easy to assemble, even without glue, you'll be able to get a table built in no time! 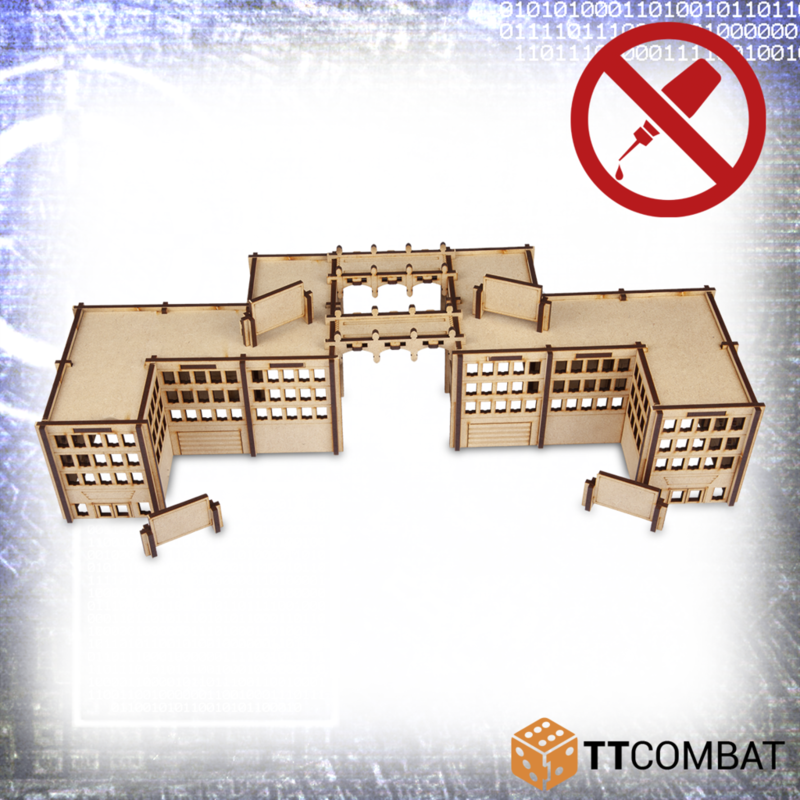 The Domicile Civitalis is primarily used for habitation, each block able to house many dozens of workers for forges, administratums and other miscellaneous duties. 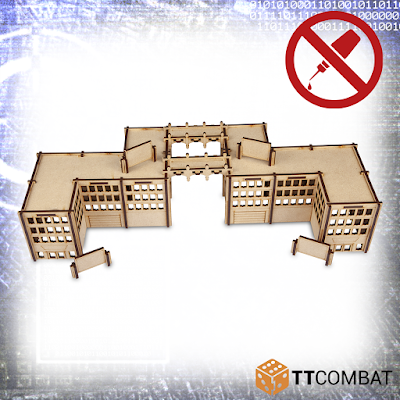 Able to be connected to the other Civitalis buildings with the included walkways you can make sprawling interconnected hives. 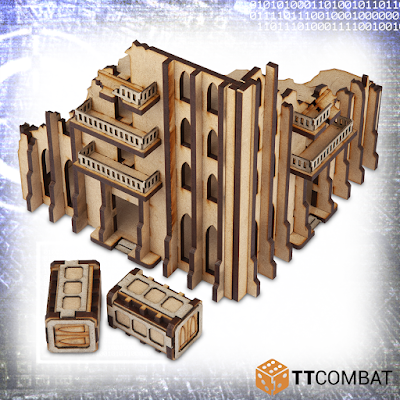 It's L shape provides great cover for smaller war machines and plenty of roof space for troops. Easy to assemble, even without glue, you'll be able to get a table built in no time! Giant stompy war machines don't really need moral support when undergoing maintenance, but that never stops anyone who believes hard enough that they do. Designed to cradle war machines while they undergo maintenance and repairs the Shrine Mechaninca features multiple inner levels with the optimal amount of safety equipment. The top level allows someone with a loud enough voice to yell sermons and offer prayers to the war machine below from the safety of a reinforced pulpit, or retire to a private tower to consult their maintenance manuals, surely filled with notes on the correct verses to chant when changing spark plugs. Designed to block line of sight to even the biggest of war machines the Shrine Titanica works great with your games of Dropzone Commander or Adeptus Titanicus. 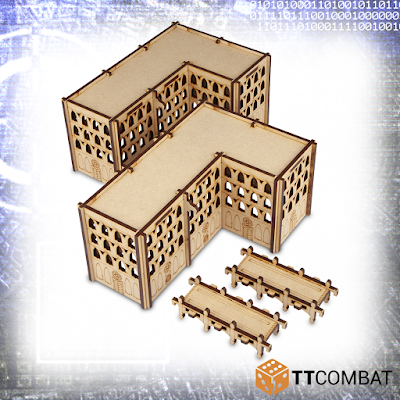 Made from 3mm MDF and 1mm greyboard, this kit is perfect for games of Adeptus Titanicus, but will work perfectly with any similar scale games. Now a shell of its former self the Administratum Decimus is a stark reminder that war cares not for bureaucracy. Once an imposing building the Administratum stands crumbling in the face of giant war machines, legions of tanks, and countless genetically engineered super soldiers. In it's prime this building managed to house over 700 staff and was able to approve a whopping 3 planning approvals, 2 material transfers, and calculate tithes for a planet of over 12 billion people. 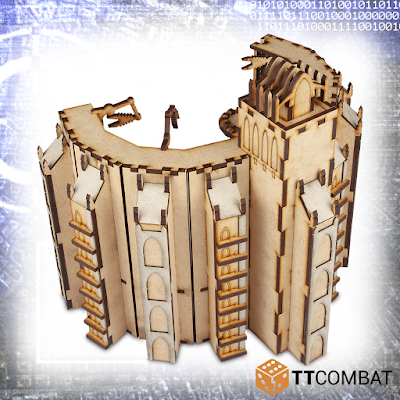 The Administratum Decimus is a great building to hide your war machines behind, standing almost 13cm high and 14cm square it provides great cover for your games of Dropzone Commander or Adeptus Titanicus.